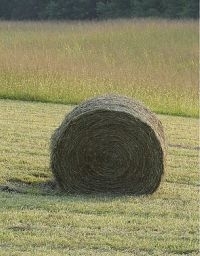 Finding good job candidates is like finding a needle in a haystack. You (or your HR department) will often get a ton of resumes for one opening. You’ll interview a lot of those people, and then what? How do you find out who’s good and who’s bad? What do you look for that helps you identify the bad job candidates? When I review resumes of people applying to be customer service representatives, certain things catch my attention. They don’t catch my attention, in a good way, though – they catch it in a bad way. My perspective is somewhat limited (the average HR person in a big company probably sees more resumes in a month than I’ve seen in my entire career), but so far, my system has worked pretty well. Generally the people I feel good about end up working out and there is a lot you can tell from not only the resume, but the interview as well. Large gaps in employment. If the candidate didn’t have a job for six months between Job A and Job B, what happened? Being at a job for less than three months. In most positions I hire for, I put up a red flag if it is less than six months, but three months is even shorter. If the candidate had a job for less than three months, you should pry into the reason. (x2) Having multiple jobs less than three months. This is a huge red flag to me. If the candidate has had multiple jobs for only a short period of time, it is often very scary. Won’t name previous companies or supervisors. When employees don’t want to reveal information about a job, it should catch your attention. Skipping around. If you notice an employee has gone from a technical job in a call center to working as a waitress and back to another call center, chances are they have some issues holding a job or picking the right one. Being an expert in a lot of things. When candidates list themselves as an “expert” or an “advanced user” in 15 different programs or programming languages, I begin to doubt their abilities and ranking system. Monday’s post will be about what to look for in an interview. Of course, you can’t tell everything from a resume and/or an interview, but it never hurts to know more about the candidate. Hi, you offer great tips on Customer Service. The O!Blog Outstanding Blog Resources led me to find you. Thanks for dropping by Brain Based Biz to check out my work. I enjoyed this article and found the information to be quite useful. You noted that this would be followed up with another article on Monday, however two have come and gone with no follow-up. Will it still be happening, or should I not hold my breath? If you could reply via email, it would be appreciated as I may not see the comment reply, if there is one. Thanks for your comment. I do forget to write the posts I say I will every now and then, so thanks for reminding me. I’ll try to write that post for tomorrow (Friday). I work in HR recruitment. Telecommunications is my area of focus. I am new to this field, so i am writing to enquire what I should be asking a telecom candidate to know if he/she is worth the shot?